Vauxhall are a British car manufacturer founded in 1903. In 1925, they were acquired by GM (General Motors) who own Opel. From then on Vauxhall production mimicked Opel almost identically and they became a mass producer of private vehicles. Most of the Vauxhall’s you see on the road today were built in factories all around Europe and have been imported into the UK. Vauxhall currently holds second place for the most cars ever sold in Britain and over the last decade the Vauxhall Vectra C and the Vivaro van have been used heavily by the police. Vauxhall are no strangers to performance vehicles and have always been active on the racetrack, with the likes of Jason Plato driving a Vauxhall Astra and a Vectra in the British Touring Car Championship. A good relationship with Lotus cars meant they could utilize the sports car producers resources to really get the most out of Vauxhall engines. For example, the 1.6 16 Valve Corsa GSi engine that Lotus worked on actually had to be limited before its release to the public due to its level of performance. Vauxhall’s most famous engine however is the 2 Litre 16 Valve Red Top which the firm produced from the late 80’s through to 1994. The Red Top is well known for its versatility and has been fitted to a huge number of vehicles. Put the fun back into driving and make sure you protect yourself with a Vauxhall car warranty from Warrantywise. We guarantee not to be beaten on price and cover for any Vauxhall car warranty. The only rear wheel drive of this size, the BMW 1 series is a sporty little hatch back with fantastic handling and impressive fuel consumption. BMW really have managed to get the most out of a small hatch with this car and it looks good doing it. Sporty looks and the long, outreaching front add to the desirability and set the 1 series apart from its rivals. The Vauxhall Astra is an extremely popular motor on UK roads and has been for quite some time. A Huge range of models mean you can have a five door hatch back, a three door coupé or a long sport tourer with the Astra title on the back. The Vauxhall Combo is a small van that does not disappoint. Class leading payloads, a wide range of engines including some low emission options and of course excellent drive quality make this a good choice for any tradesmen looking for a practical van to get around in. The Vauxhall Corsa is one of the most well known super minis around. Offering a years free insurance with a new Corsa when they were released really helped Vauxhall get their creation on UK roads. Any Corsa driver will tell you how much fun it is to drive one. 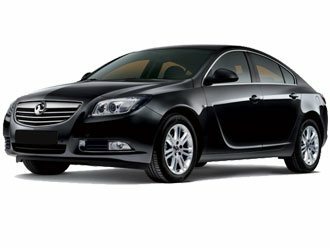 The Vauxhall Insignia is a stylish motorway churner with good ride comfort, handling and sound insulation. Often used as company cars and fleet vehicles, the Insignia is perfect for driving long distances comfortably. The Vauxhall Meriva is a small MPV with good all round statistics. Often seen with Flexdoors, the Meriva is certainly a very good choice if you are looking for a practical family car with decent looks and performance. The Vauxhall Signum is essentially a Vectra Estate but with much more equipment. A perfect alternative to the chunky executive saloons out there, the Signum offers classy looks and decent performance with plenty of interior and boot space. The Vauxhall Tigra is a small, stylish little convertible that provides all the thrills of a sporty roadster without breaking the bank. Decent MPG, excellent sound insulation when the roof is up and general good looks make this a brilliant little car. The Vauxhall Vectra is a surprisingly powerful, aggressive looking car that has had quite a racing history. On our roads it handles well, the interior is spacious and practical and it will carry the whole family in comfort and safety. The Vauxhall Vivaro is the preferred choice for many van drivers in the UK and holds a certain appeal due to it being one of the few remaining motors made in the UK. Superb ride quality, decent MPG and large load space graces the Vivaro and sets it apart from rivals. The Vauxhall Zafira is an affordable, practical seven seater that is perfect for any British family. Used a lot by taxi firms and fleets, the Zafira is a common sight on UK roads and was extremely popular when first released.